Welcome to Hotel Homeschool... Newborn Style. Since we were so close to D.C., I decided to take a field trip into the city to visit some famous monuments. 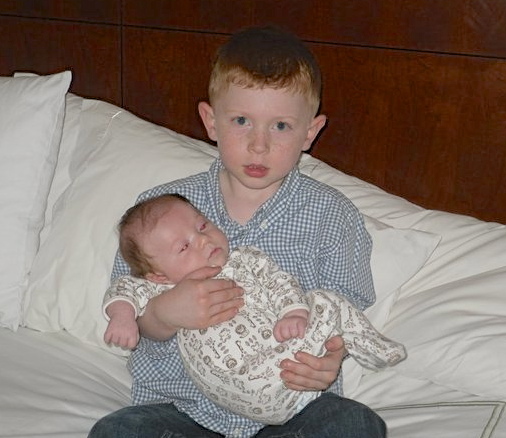 I was thankful to be able to do this with him at such an impressionable age. I was determined to take full advantage of living so close to such a great city. 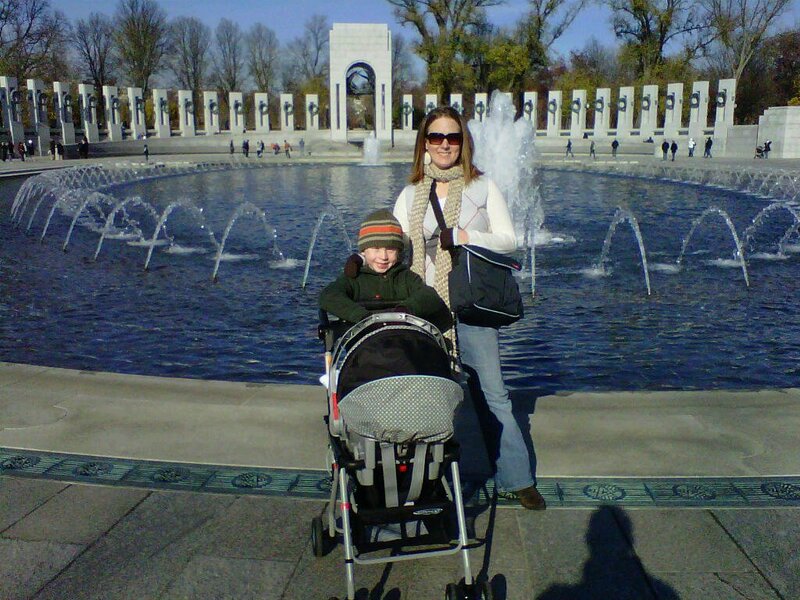 We walked to the World War II Memorial and gazed at the fountains and the giant eagles. I shared with Opie some of the names etched on the stones and what they meant. It was moving and powerful. I was already deeply impressed with how I, his Mother, was handling this field trip. Didn't I deserve to be nominated for some Homeschooling Hall of Fame Award? We moved on past the Reflection Pool towards the pinnacle of our day: the awe-inspiring Lincoln Memorial. Inside, I was brimming with enthusiasm. "This moment could be a defining moment in Opie's life," I thought. "Where he could embark forth on a journey to become president himself. I could just picture him swearing in, saying, "I owe it all to my Mother, who lit a spark in me on the day we stood at the foot of the Lincoln Memorial. She is the reason I stand before you today." He was about to see a magnificent example of how your life and character can make history. 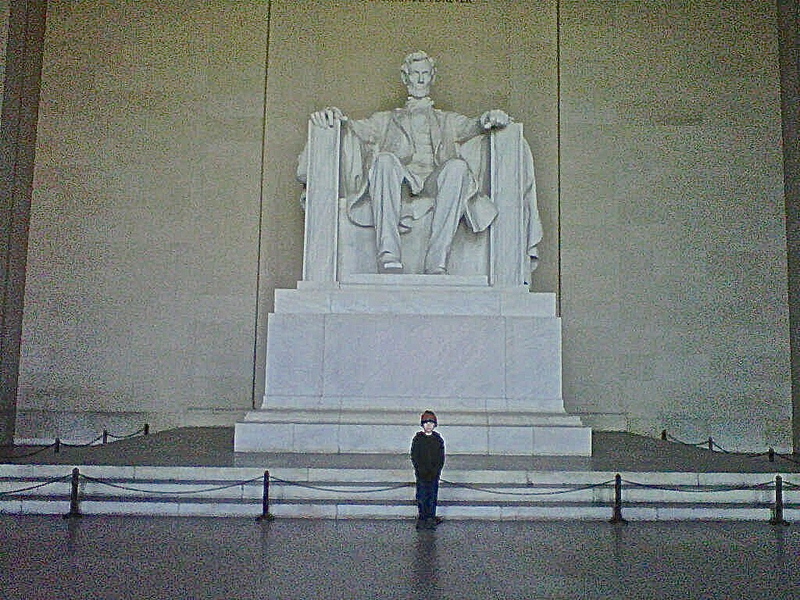 As we rounded the corner, Opie's eyes grew wide as he looked up at the enormous statue of Abraham Lincoln. For a moment, I watched him soak in the vast space around him. The huge columns. The etched writings of Lincoln on the walls. The richness of our Nation's history. 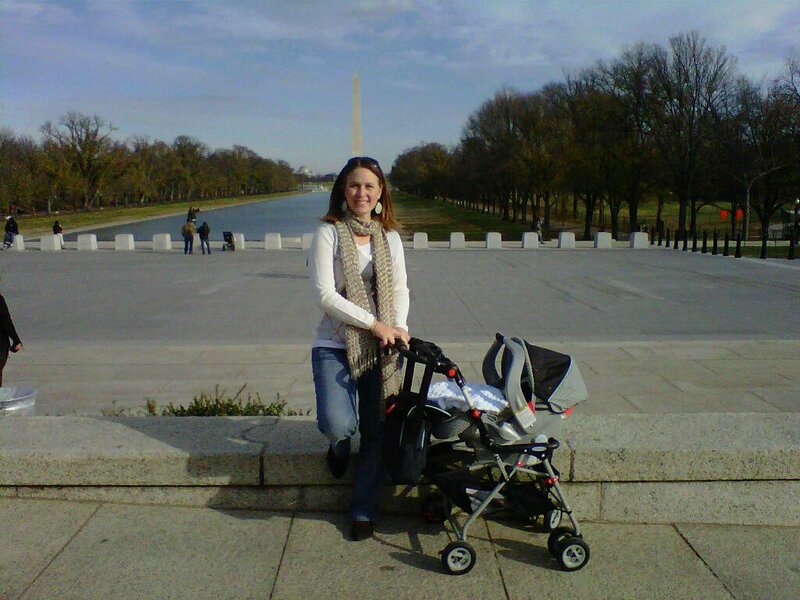 His curiosity was palpable and this supermom was about to make homeschool history. "Opie, (pause.) 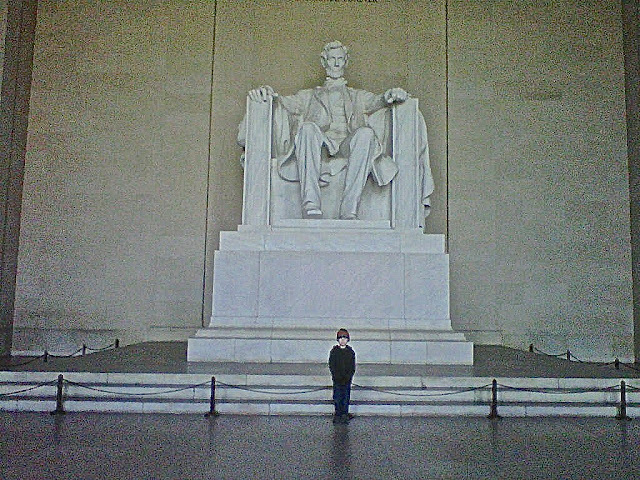 This is Abraham Lincoln, the fifth president of the United States of America." What mother had e'er spoken words with such conviction and truth? "What did you just say?" my husband asked. I sensed I'd said something incorrectly. "Oh, Silly me! Opie, he was the sixth president." Somebody get this girl a cookie. So, the teachable moment? Not like I'd planned. And that Homeschool Hall of Fame Award? I'd have a better chance at winning the Nobel Peace Prize. "you are in charge of my child's education." That just made me LOL!! I am not a historian myself. I mess up with history and geography on a daily basis. Seriously. I don't know about all that! My kids are going to have to get their schooling through another teacher! HA! HA!!! True dat! :) We are not homeschooling anymore. It was just temporary in the hotel. I enjoyed it, but it was a lot of work! He is flourishing in public school in Jersey. It's nice to know homeschool is there, though, if it ever seems like a better choice for us. I realized later, that Lincoln is on the 5 dollar bill, so my mommy brain just "assumed" that meant he was the 5th president! Hey, if you don't use it, you lose it, right? HA! These are the moments that stick with us. Gish. The best is when your spouse can be there to correct you because they also never forget! I know! That sad part is that I was an "A" student and my husband was a "D" student. Somehow, I get dumber with age, though and he gets smarter! I don't like this much! Maybe he has an even better liklihood of becoming president than you'd first imagined. I'd pat him on the back! Thanks! He just might want to go into school reform to make sure people like me make it in the world! HA! Ha ha!! I'm with you girl! All I know is that George Washington was the first...and to be perfectly honest, I had to Google that just to make sure I was correct. I have NO intention of even attempting home school! !